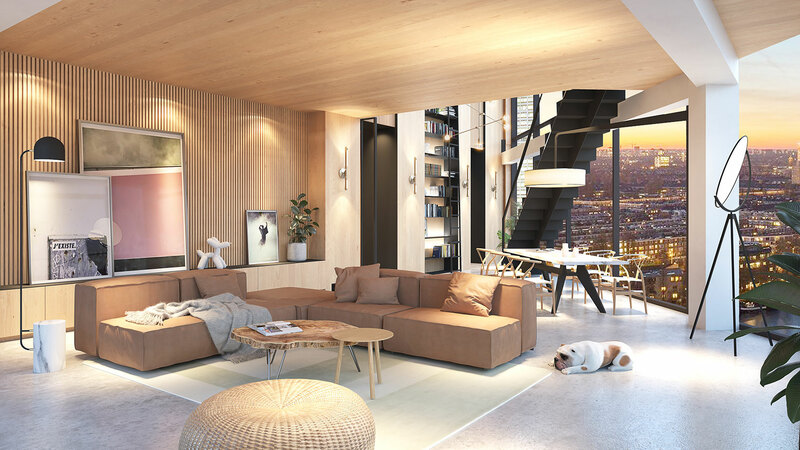 HAUT is the Europe’s first wooden residential tower for people who seek a sustainable and minimalist lifestyle with ultimate balance and comfort. They are affluent and discerned without the need for showing off. 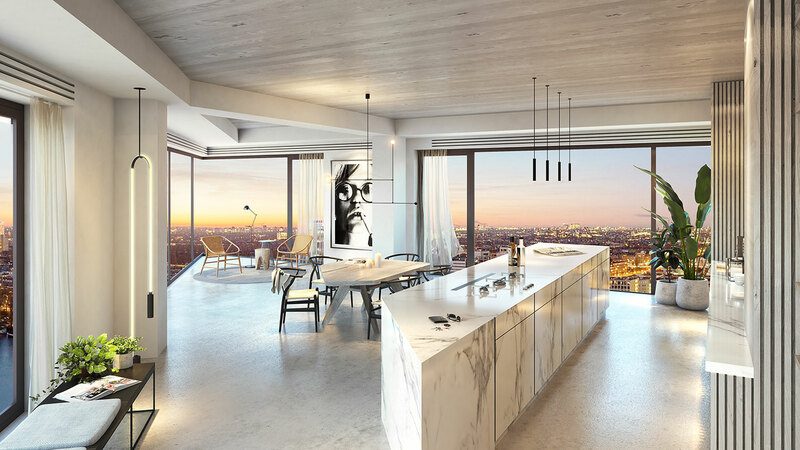 HAUT is a new way of urban living for likeminded individuals who live in the now, with their eyes on the future. 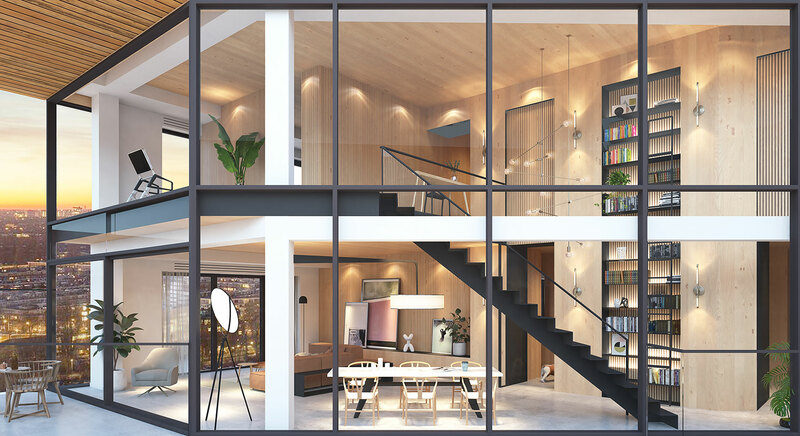 Our interiors follow these sensibilities with a thoughtful and tailor-made design that exudes understated luxury. The overall envelope is pure and premium defined by an open, sweeping layout and honest circular materials. Wood in graduating shades is the signature that continues the architectural palette indoor. 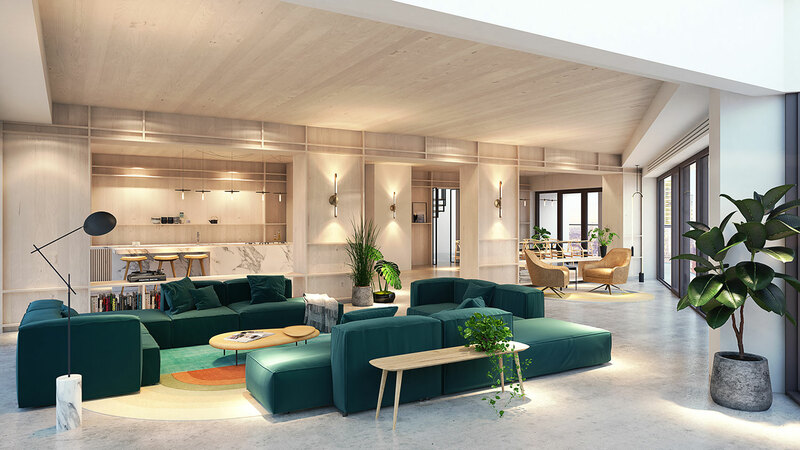 The natural materials will age with integrity, giving the living spaces a new and ever-evolving character over the years. 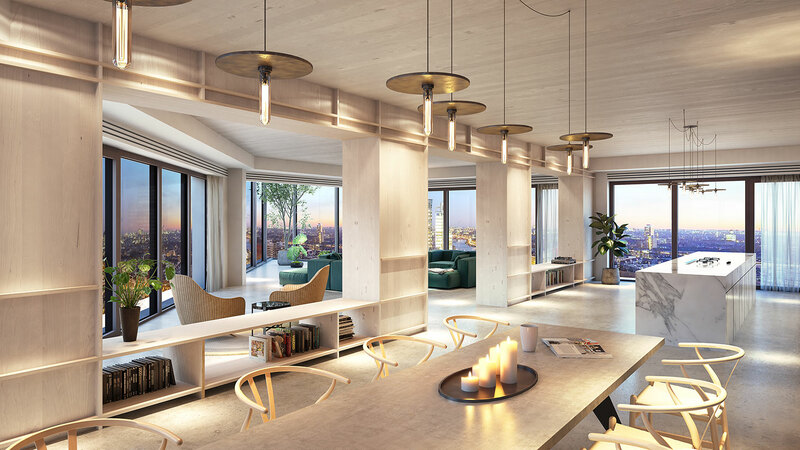 A selection of hand picked and bespoke furniture pieces set the stage for comfortable and minimalist living, where abundant daylight and sweeping views are an everyday pleasure. 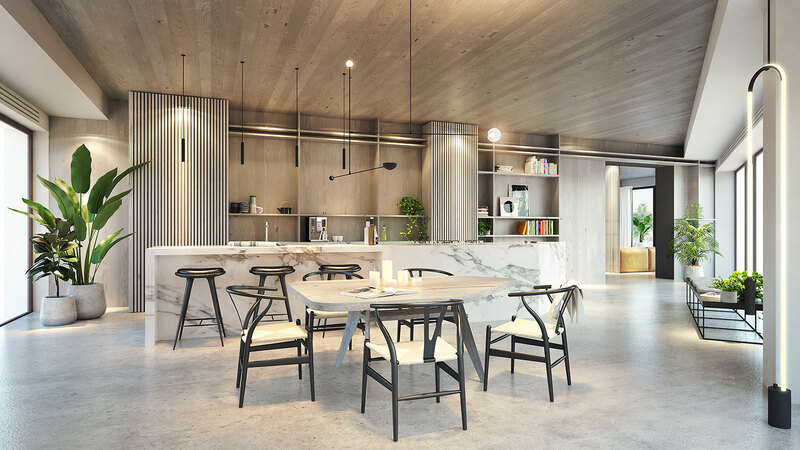 Without imposing style over substance, the HAUT apartments are an effortless setting for the owner’s individual taste.